I think this is one of the Harvestmen. 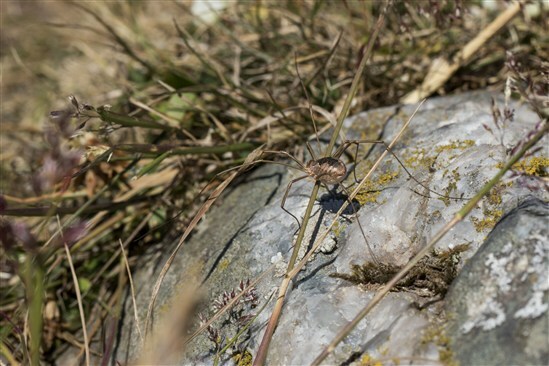 Apparently they're not 'true' Spiders due to the single body (as opposed to double body parts in 'true' spiders) and they don't all have poison. They have 'smelly glands' for defence but I didn't attempt to sniff it to find out. He didn't like having his photo taken so he stormed off in the huff.!! 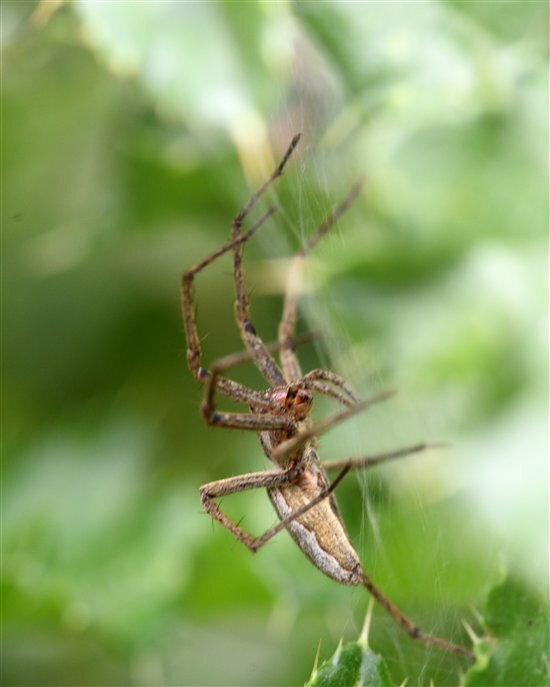 lol Paul, great pics; you wouldn't want to meet the resident spiders of Australia !! you wouldn't want to meet the resident spiders of Australia !! That sounds a really nice way to deal with spiders Gaynor. I was in the hairdressers a few days ago & while I was waiting, the hairdresser & her other customer were chatting & the hairdresser mentionned that she had found a big spider in the house. Shock! Horror! She killed it & put it on her husbands chair for when he came home. Apparantly it was his fault because he hadn't put in the insect barrier correctly. This is a spray that you use all around the inside/outside of the house to prevent & presumably kill anything that tries to step over the thresh-hold. Her customer agreed & said they do this too. I said it sounded terrible & what about the poor spiders. They said ''What do you do about spiders?" I explained that I leave them, they catch flies & mosquitoes & are quite harmless & occassionally have a purge & put the mop around & drop them all outside. They were amazed that I could live with Spiders in the house. Sad old world isn't it! I agree with you Hazel, I could never kill one, though many do. If people spray around their homes like that then goodness knows what they are doing to the environment. 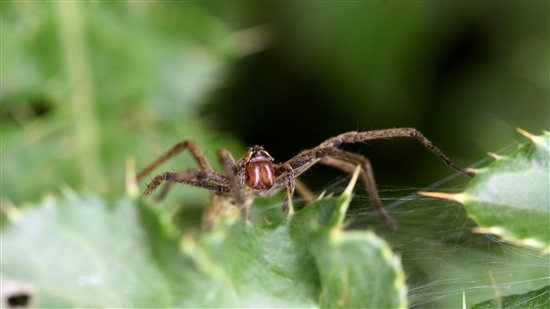 When I eventually decide a spider needs to be sorted out, I also use a glass and piece of paper to evict it. Only once did I have to persuade one to bend its legs before putting the glass over it!!! Not in the UK I hasten to add. Anyway, here's one in natural habitat. 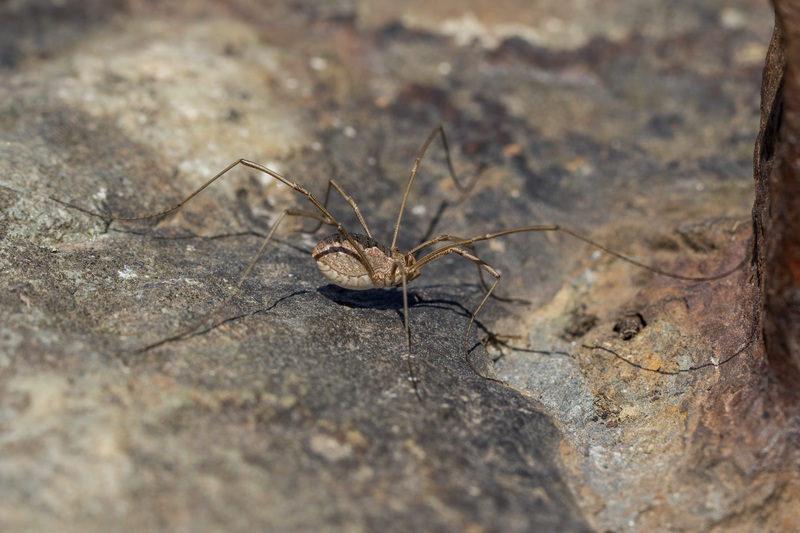 With that long body it looks like a Tetragnatha extensa but there may be a close relative, there is over here. Often found near water. That's a large spider Nigel, those legs are looking pretty sturdy. Hazel I get the tetra bit but what does the rest mean? abdomen maybe? It's actually not that big, Gaynor, no need to panic yet!